Ever click on an article on Facebook and get a little frustrated when it doesn’t load right away? More often than not, you don’t end up reading what you clicked on. Well, if you own one of those sites and Facebook is a part of your overall marketing strategy, you had better look out: Facebook has made even further changes to their algorithm. Mobile-ready sites aren’t the way of the future, they’re essential right now. 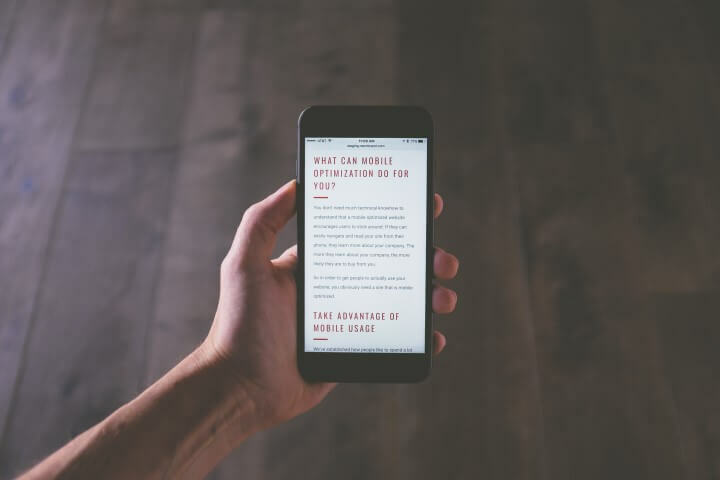 Back in March we emphasised, once again, the importance of optimising your website for mobile smartphones after Google started prioritising its mobile index and penalising sites who were not prepared for the massive shift towards mobile device use. Now, with a new updated algorithm from our friend Facebook, those who haven’t made their site mobile-responsive and lightning fast could see themselves dropping off the Facebook News feed. If your site is penalised for not being mobile-ready, it doesn’t mean you’ll be shut down or blocked. It means that if your site does not load fast enough (< 3 seconds) on a mobile device, it will appear lower on the organic News feed (i.e. not where you want to be). It’s also likely to hurt the relevance score of your ads which means you’ll end up paying more to get your ads out there. Without the Facebook algorithm, the average person’s newsfeed would pull in as many as 10,000 posts per day. As Facebook’s popularity exploded, it became essential for them to filter out content so you only see the best bits. It’s good for you as a user, because you don’t have to scroll through endless spam posts from pages you liked 5 years ago. And it’s great for Facebook, because it means their ad spend has skyrocketed as businesses do their best to get content in front of potential customers. The Facebook algorithm is constantly evolving – keeping on top of it is a full time job and keeps me employed (thanks Facebook!) If you don’t evolve with it, you will be left behind. According to Facebook, 94% of their users access the social media network through their mobile device. That shouldn’t really come as surprise in this day and age; so you’d be insane not to take a mobile-first approach. None of this is new information. In fact, it’s surprising that it’s taken so long for it to be implemented fully. There are already some penalties in place for slow-loading or non-optimised sites, so this latest algorithm change simply reinforces the message. In 2014, Facebook started looking at the amount of time people spent reading a post after clicking on a link. If they exited after three seconds (or “bounced” off the site) they knew that particular page was not loading fast enough, or contained irrelevant information. This resulted in a penalty being applied to that link and any future posts containing that link would subsequently appear lower in the News feed. Smart, hey? Thankfully, Facebook has provided 10 tips on how to best optimise your site for speed and mobile-friendliness. Many of these tips require you to make changes to the code in your website. In these cases, I would strongly suggest working with a developer who is experienced in building mobile-ready websites (and understands the tech terms below), like our main man Anthony. If you’re sitting there thinking, “my site is fine, I won’t get penalised”, I would strongly recommend that you run a quick page speed test on your site to see how fast your site really is – you might be surprised. Google has a free tool you can use; check it out here. If you’re still not convinced that you need to be mobile-ready, go back and read our other posts about why you should. The online world is changing rapidly and if you’re not sprinting to keep up, you will become irrelevant.